"Billy Baroo" (my fly rod, not the putter) and I have fished together for over forty years. In the early 70’s I bought "Billy", an 8' 6", 5 weight Winston, from my good friend and mentor Emmett Heath. Every penny from a summer of work went into that purchase, and even today the fondness of those anxious months and the years we've since fished ring loud. "Billy" is now a "collectors item” along with the Hardy Marquis that has been his lifelong dance partner. Although no longer “fixable” "Billy" and I still trod around creating memories together, and still trick a fish or two from time to time. Due to their craftsmanship and aesthetic quality, not to mention longevity, they've inspired an affection for all well crafted fly-fishing gear. But I must admit I do have a soft spot for my old standbys. To this day my original Marquis reel performs admirably, and is still one of my go to reels. It along with "Billy" and much of my other gear is worn well and well fished, kind of like me. They've developed a fair amount of mojo over time and a pleasant patina from use that reminds me of the years we've fished together. Sentimentally priceless and expertly crafted these friends have and continue to be good to me. 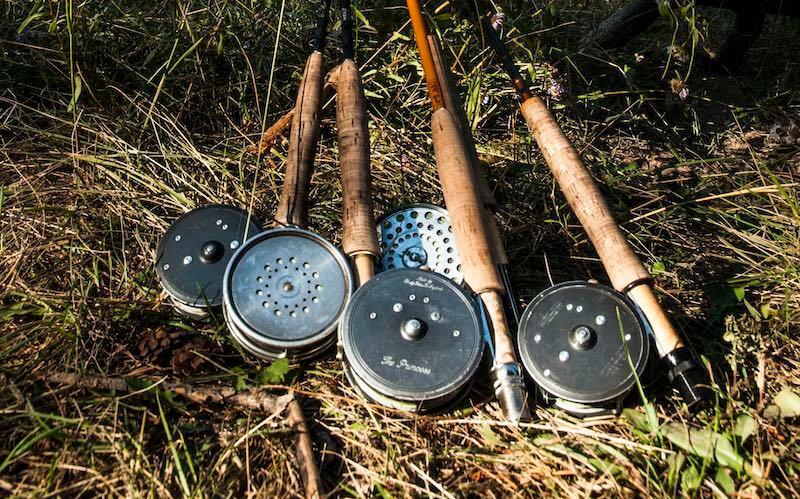 Fly-fishing rods and reels have been passed from one generation to the next. Grandfathers to grandchildren, parents to children, friends to friends, and finally stranger to stranger, rods and reels have been coveted -continuing a well worn legacy. Like all good things of this nature, some come with a unique and endearing story. I have such an item in my closet, a reel, that has a story, and a beautiful one. A dear friend gave me her Hardy Princess just before she passed away from cancer. We had known each other for a long time, and I was quite honored to receive this generous gift. I fish it in remembrance of her, and in doing so honor her love of fly-fishing. That was our common bond, as it is for many of us in this industry, and for those who fish with flies. At this stage in my life I've acquired a few rods and reels though not as many as you might think. It's pretty rare for me to be looking to replace one, because I feel that most of my assorted gear is simply irreplaceable, however I have added some new rods to my quiver in recent years. They haven't been purchased to replace old friends, but to begin their own unique journey. My recent additions are so good, I've no doubt they'll one day develop their own patina and mojo and if you believe in soul and character they'll gather some of that as well. My vintage rods and reels are an integral part of playing the game of fly-fishing, and like old friends, they have gotten better over time. Quality used and vintage fly fishing equipment is as relevant today as it was when it was first crafted. 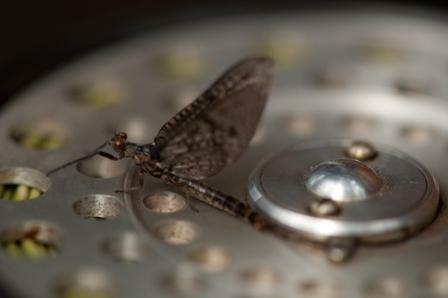 They fill unique niches, adding richness to ones fly-fishing experience. Good rods and reels, new or used, with an appropriately matched fly line should simply make you want to go fish. Over a lifetime you can’t put a price on that. If you are looking to add to your quiver, fill a niche with a unique rod or reel that offers you an aspect of fly-fishing that's not available anymore or want to just simply own a classic piece of fly-fishing history check out our new Western Rivers Flyfisher Vintage and Used fly fishing equipment page. You'll want to do so with some frequency however, because in general these items don't last long.